Check out this 360 video showing the new terminal at Los Angeles International Airport (LAX), which demonstrates one of the many ways that VR is useful beyond video games. LAX is third busiest airport in the United States, and the sixth busiest in the world. It is undergoing renovation and one of the components is to add a new international terminal. 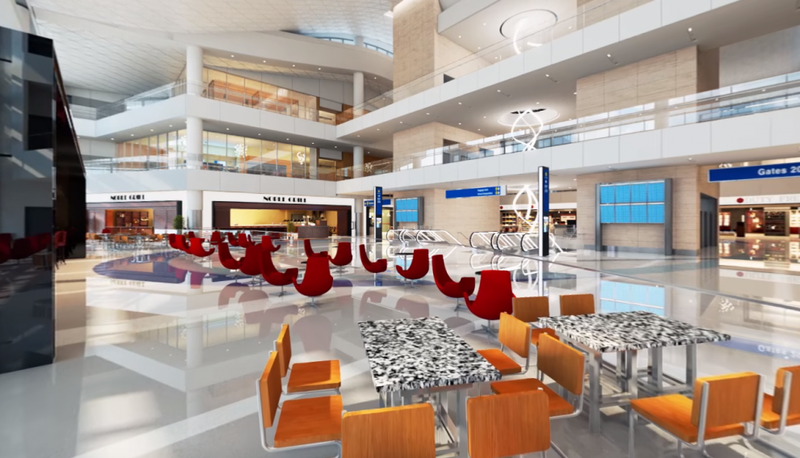 To show the new terminal’s design, the architects created a video based on the actual CAD files that are being used to build the terminal, so the experience is an accurate representation of what visitors will see when the terminal is completed. They created a conventional video as well as a 360 version of the video. Check them out and compare! They’re not identical in terms of the content, but I think it’s still interesting to contrast similar scenes rendered as a conventional video and as a 360 video. According to the architects, they are using VR not just to show their projects to their clients but also to assist themselves in designing those projects. With VR, they are able not just to see their projects but experience them before they are built and even make changes to the designs within VR. This is just one example of how VR is incredibly useful for industrial purposes, and ensures that despite pundits’ skepticism, VR is here to stay. Thanks for sharing. Did the architects mention which software they’re using? Hi Ryan. Sorry I don’t remember which software they were using. It might have been proprietary.